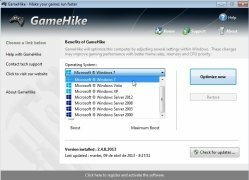 GameHike is a simple tool that optimizes specific features of the operating system to manage to make video games work even better on your computer. 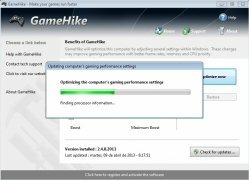 If you use your computer to play, this application will come in very handy to you, because it increases the performance of the system, especially for video games. How it works is very simple and its results are surprising. 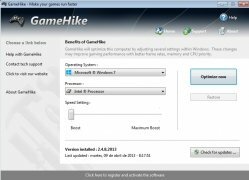 The first thing you have to do is choose the operating system and type of processor. 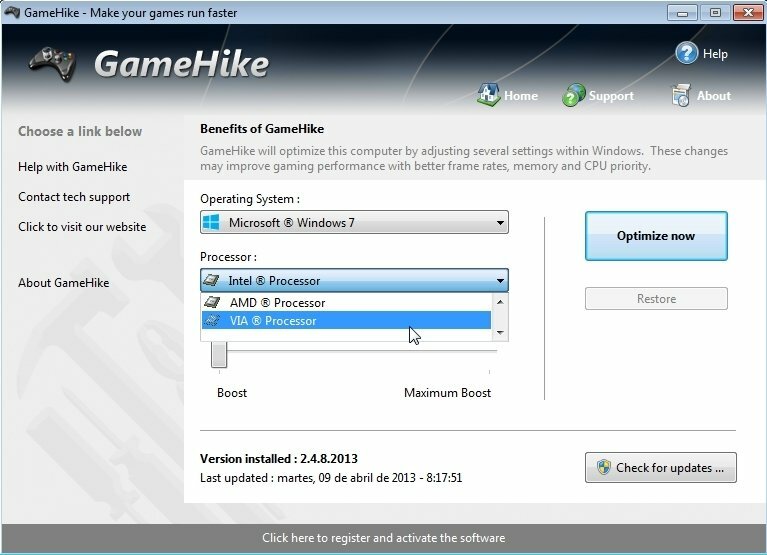 After that, GameHike will carry out the analysis of the operating system and will modify those features that may improve the performance of your computer when dealing with video games. 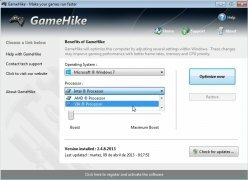 Among these features you can find: the frequency of the image refreshing, the animations, the memory and the CPU priority. 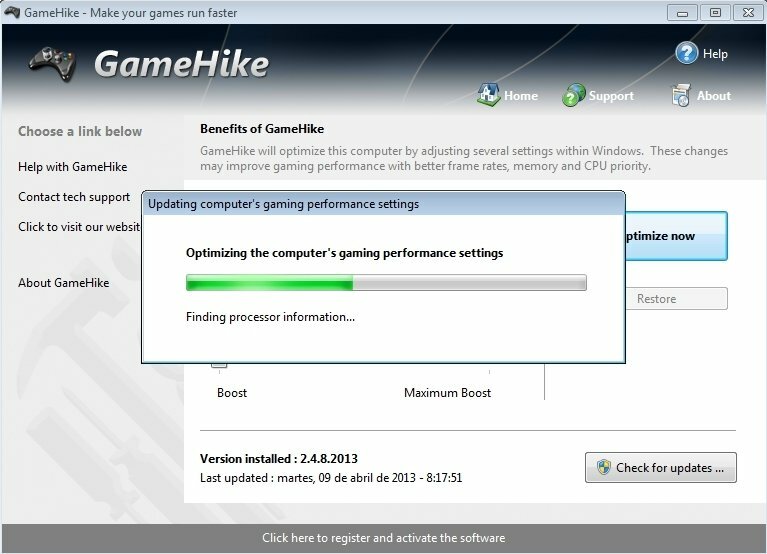 Once you've carried out the changes you should restart the system and you'll be able to check how the performance of the computer improves when you launch a video game. 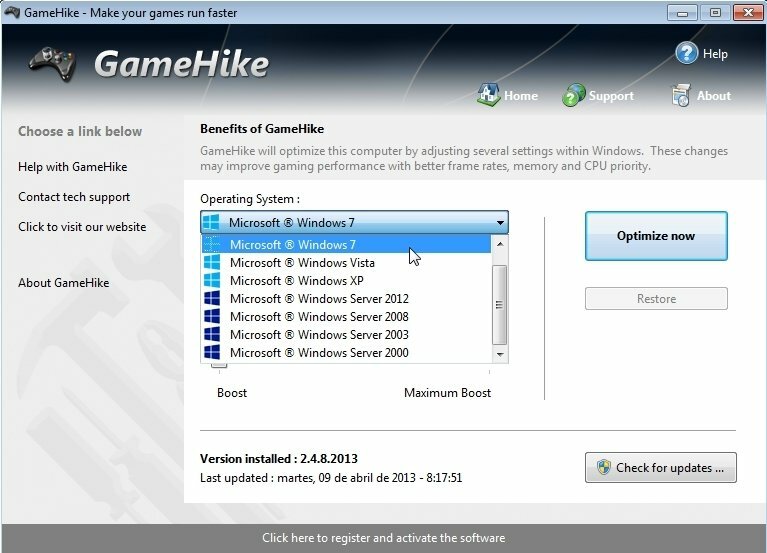 GameHike also allows you to restore the system to the configuration that it had prior to the changes. 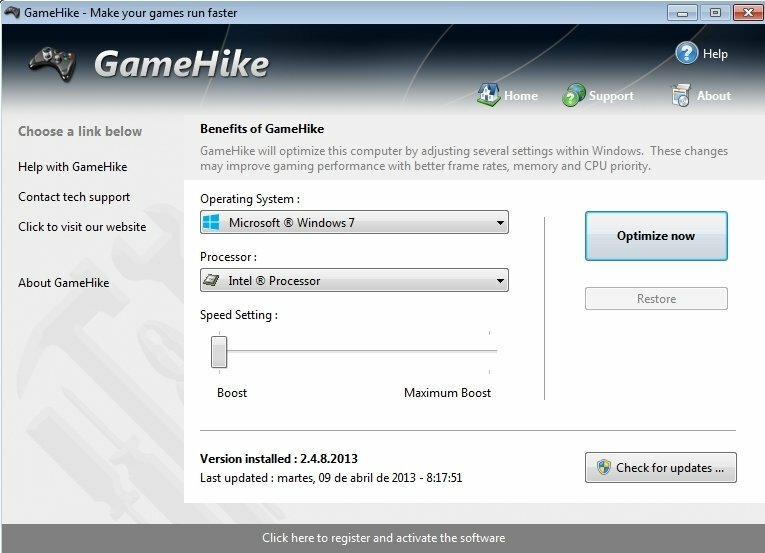 If you like playing on your computer, try out GameHike, you'll see how you notice the difference. The fastest configuration can't be used in the trial version.